Everyone would love more flexibility and better balance of work, family, hobbies and interests. But flexibility in nursing can seem a remote dream. Not true. Travel Nursing May Be a Great Solution! 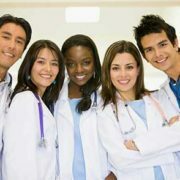 If you’ve ever considered becoming a travel nurse, there’s lots of options today from local travel that keeps you in the communities you know, to faraway international travel roles that provide interesting new adventures. 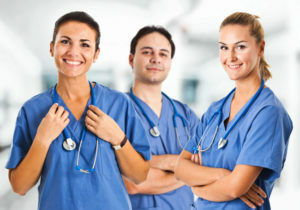 Travel Nursing can be an exciting career with lifelong opportunities and the demand is high. So, what does it take to make this your career? 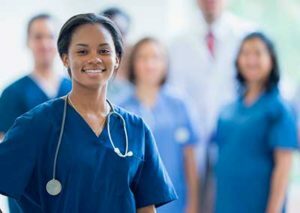 If you’re interested in becoming a Travel Nurse, you need to be a licensed Registered Nurse, preferably with a bachelor’s degree and a minimum of 1-2 years’ current hospital or clinical experience. While the mandatory minimum is one year, many facilities prefer two years or more. Your experience should include day-to-day experience in a hospital setting and ample time spent in the role with a solid understanding of systems and protocol, and you’ll want experience handling unexpected and possibly challenging conditions. Remember, every time you take a travel assignment, you’re going in with minimal history of the current situation or the patient population, so the ability to adapt quickly will be critical. Strong problem-solving skills and learning on the fly will enable you to ramp up and become productive quickly. Most organizations include training, perhaps 1-2 days of training or even less, so having previous experience and being able to learn quickly are important strengths to have. You possess the ability to practice with little direction and assess situations quickly to provide the best possible healthcare timely and efficiently. Experience working in fast paced environments is a solid asset for travel nurses. Travel nursing is a great choice for nurses that love to challenge themselves and experience a variety of environments, and those who specialize in specific units, but want more flexibility. The best specialties for Travel Nursing are: ER, ICU, Labor and Delivery, OR, ICU, Elder Care, NICU, PICU, Telemetry and Home Care. 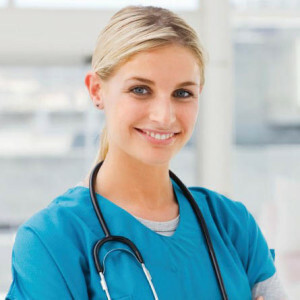 While travel nursing offers flexibility, it also is a great choice for lifelong careers. Experiencing a move or life change? Not ready to retire? Try travel nursing. If you’re interested in nursing and flexibility, there will be opportunities. 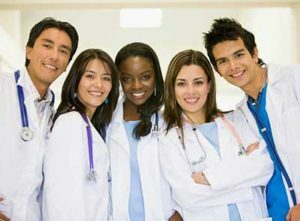 Travel nursing is a career choice that provides multiple opportunities, the ability to travel to new communities or cities, the prospect of working at premiere hospitals and clinics and enjoy the flexibility you want. For more information about opportunities or next steps, check out our employment opportunities or contact us! How Do You…A Healthcare Professional, Handle Gaps In Your Resume? You took time out from your work, now you’re wondering…how do I explain it. Will it hurt my ability to get another job, much less a job I want? How do you explain a gap in your resume? Foremost, transparency from the start is highly recommended. Be honest. But, don’t pour out your whole story and explanation. That information should only be passed along to close friends and family. If you aren’t prepared and don’t have your elevator story set, you could end up having your absence hurt your chances of getting that job. Start by preparing, planning what you’ll say, what your story will be and begin with an honest, concise explanation of what happened. Laid off: You were laid off. If others were laid off at the same employer, include it. If no one else was laid off, you need a plausible explanation why it happened to you. It may be the number of patients were declining, or they needed to reduce everyone’s hours, or they lost funding. But, what if you had difficulty learning something specific? Explain why, and how you’ve overcome the challenge. Don’t expect to avoid it. You’ll need to tackle it head on. If it was due to differences with management, state that, but concisely, and then add information such as the circumstances, the result, and what you’ve learned. Explain how it’s made you a better professional. And be prepared with this information before you start applying for any jobs. Family illness: Whether it was you, a family member or parent, explain the reason concisely and add what you learned throughout that will benefit you in the future. You don’t need to reveal who was ill, what the illness was, for how long, or what support you provided, and if it was you, you don’t need to tell a future employer. I hate to admit it, but there will always be lingering concerns that you could be at risk for future health issues if you reveal too much. Raising children: If you took time off to raise a family, everyone will celebrate you, although they may not say it. Your next employer will appreciate your dedication to your family. But you do need to explain it quickly, and explain what you’ve learned while you were not working that would benefit them directly. This could include volunteering at a professional organization (even if you just started recently), any additional learning or training you received, or a skill you learned while at home. A valuable skill may be as simple as ‘I learned how to handle conflict with others, because of an experience I had and what I learned from it.’ If it’s a skill an employer will value, it’s likely a skill that will provide reception of both your time off and your new skill. Lastly, confirm that you’re ready to return to work and have all the reasons you took time off resolved. Be swift and definite with this statement. Then move on. Most employers will too, and they’ll appreciate your family values. Business venture: You had an opportunity to go after a dream, but it didn’t work out. Explain it briefly, and absolutely guarantee employers you won’t be returning to it, you’re committed to this career now, or if it’s still ongoing, that your participation there is minimal. Return to school: This is likely the easiest to explain because you just need to say it, and explain what you learned that will benefit your employer in the future. Again, be succinct. Where do you begin to tell people you’ve had a gap? Continuing education classes you took. Research you did during this period. Volunteering you did during this period. Whatever the reason there’s a gap, deal with it quickly, be honest and transparent. Your values and ethics are always being considered – and a gap in employment often reveals your character, values and ethics. The life choices we make reveal a person’s substance. http://occpartners.com/wp-content/uploads/2017/05/healthcare-resume-advice2.jpg 294 400 Janet Korpi http://occpartners.com/wp-content/uploads/2016/01/OCCpartners-PMS320.png Janet Korpi2017-05-22 08:50:212017-12-28 22:34:14How Do You…A Healthcare Professional, Handle Gaps In Your Resume?